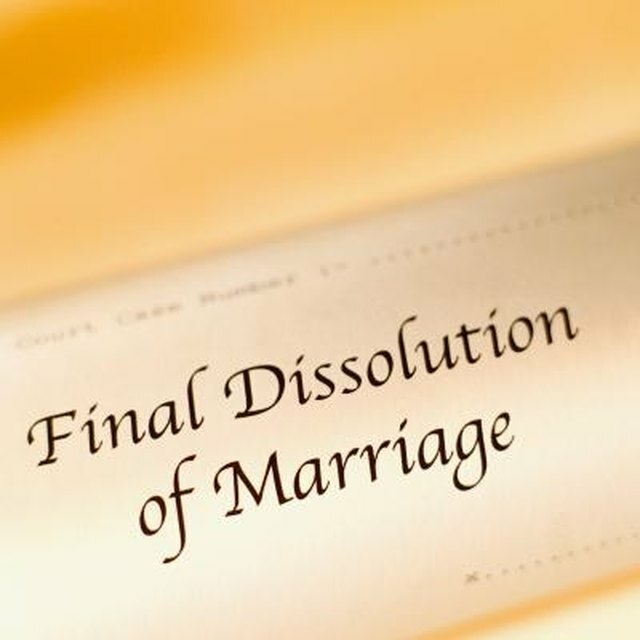 Assets in a divorce are typically any property acquired during the course of marriage. Jurisdictions vary in terms of how marital assets are divided. The United States has nine community property jurisdictions and 41 equitable distribution jurisdictions. In community property jurisdictions, everything acquired during marriage is owned 50/50 by both spouses; separate property — gifts, inheritances and property owned before marriage — is not considered part of the marital estate. Real property such as the marital home is an asset. Often, the marital home is a married couple's most valuable asset. Vacation homes purchased during the course of marriage are also real property assets. The way real property assets are divided depends on the jurisdiction. However, if a couple has children, it is common for the primary caretaker to receive the marital residence. Any real property purchased before marriage is likely to be considered separate property. Thus, it is not a marital asset to be divided upon divorce. Pension plans and retirement funds are marital assets if acquired through income received during marriage. Pension plans can be divided in a few different ways. Sometimes, pension plans are "cashed out," and all proceeds are divided among spouses upon divorce. One-half of a pension plan may also be transferred from an owner-spouse's account to a retirement fund opened for the non-owner spouse. Last, couples may elect to have a pension plan valued at the time of divorce, with the non-owner spouse receiving payments based on that amount when the owner-spouse retires. Nearly anything acquired during the course of marriage is a marital asset including stocks, bonds, bank accounts, automobiles and personal property. A business opened and operated during marriage is also a marital asset and subject to division upon divorce. When dividing assets, courts generally seek a married couple's input as to what should be sold for proceeds. For example, if a couple owns a business, and it makes sense to keep it open, one spouse will receive the business and the other might receive the home, stocks, bonds and other assets equivalent to the value of the business. The nine community property jurisdictions — Arizona, Washington, New Mexico, Nevada, Louisiana, Wisconsin, California, Texas and Idaho — evenly divide all assets acquired during marriage. These jurisdictions do not divide separate property, but allow spouses to keep 100 percent of all separate property acquired before marriage or by gift or inheritance. The other 41 jurisdictions consider all property acquired during marriage as part of the marital estate as well. The only difference is these jurisdictions divide assets in a manner that is just and equitable. This means a court might divide marital assets in a 70/30 manner, depending on each spouse's employment opportunities, education and earning potential.